As USAID/Pakistan Mission Director, Jerry Bisson leads on of the Agency's largest assistance portfolios. USAID's program promotes stability, security and prosperity in a country at the forefront of U.S. foreign policy, featuring projects in energy and infrastructure, economic growth and agriculture, health, education, and resilience. With a $5 billion portfolio ($200 million/year), USAID/Pakistan programs reduce support for violent extremism and strengthen the enabling environment for the private sector to create jobs. For more than 30 years as a Senior Foreign Service Officer, Mr. Bisson has built and motivated teams dedicated to improving the lives of people in Afghanistan, the Philippines, Indonesia, Latin America, and Eastern Europe and Eurasia. He holds the rank of Minister Counselor in the Senior Foreign Service. Prior to his current appointment in Islamabad, Bisson led the USAID/Asia Bureau's Technical Support Office, which is responsible for delivering technical assistance for environment, governance, trade, economic growth, education and health programs for the Bureau, missions and regional offices in 30 countries. From 2013 to 2014, Mr. Bisson served as the Deputy Mission Director for USAID/Afghanistan. 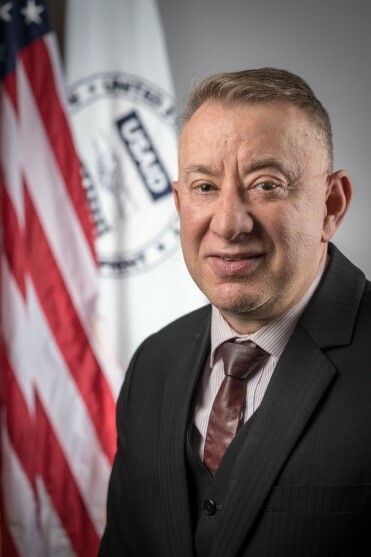 In Washington, DC, from 2010 to 2014, Mr. Bisson headed USAID's Economic Growth Office in the Bureau for Europe and Eurasia, responsible for overseeing a $2 billion portfolio of economic growth activities in 13 countries across the region. From 2008 to 2010, Mr. Bisson led the Office of Infrastructure, Energy and Engineering in Kabul, Afghanistan for USAID where he directed efforts to strengthen the capability of Afghan organizations to increase the reliable supply of electricity, expand access to potable water, build and maintain roads, and design and construct schools and clinics to meet international safety and seismic standards. Mr. Bisson has also served in the USAID/Latin America and Caribbean Bureau, and USAID Missions in the Philippines and Indonesia. Mr. Bisson has been awarded the State Department's Herbert Salazar Award for Excellence in International Economic Performance, USAID's Molly Kux Environmental Award, and numerous Superior and Meritorious Honor awards. Mr. Bisson has an MS in International Development from SUNY/Syracuse and a BS in Forestry from the University of Vermont. He was a Peace Corps Volunteer in agroforestry in the Philippines. He speaks Tagalog and Bahasa Indonesia. He is married to Dr. Ruby Ann Bisson, and they have a son Nicholas and a daughter Megan.